What Are the Ingredients in Surgical Spirit? Camphor spirit is a solution of alcohol and camphor, a strong-smelling compound found in a specific species of native Asian trees. Camphor spirit -- also known as spirit of camphor -- is used by many alternative medicine practitioners to treat a number of ailments, internally and externally. However, the use of camphor spirit may be linked to a number of side effects and should not be used without a doctor's consent by people with certain medical conditions. Spirit of camphor is not approved by health care professionals as a scientifically viable treatment for any medical condition. Camphor spirit is an alcohol-based solution of camphor, a white substance extracted from the evergreen camphor tree that's also known as the laurel camphor or gum camphor. 3dchem.com also reports that camphor can be artificially produced from oil of turpentine. 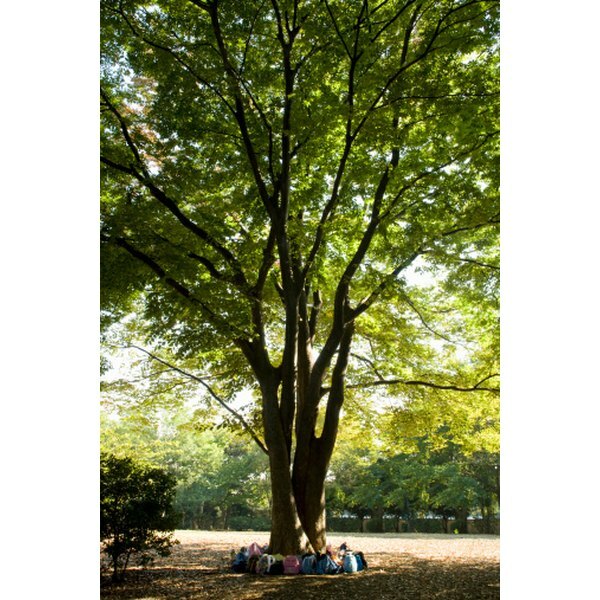 The camphor tree, additionally identified by its scientific name Cinnamonum camphora, is native to China, Japan, Vietnam, Borneo, Sumatra and other parts of eastern Asia. As an essential oil and spirit, camphor has been used in Asian medicine for centuries; according to Botanical.com, it was mentioned as a medicinal herb in Marco Polo's writings. Both camphor and spirit of camphor have a strong, penetrating odor and feel mildly cold and numbing to the touch. The U.S. Pharmacopeia site reports that an accurate camphor spirit solution contains between 9g and 11g of camphor for every 100mL of alcohol. Henriette's Herbal Homepage advises that, to prepare the solution, 100g of camphor should be dissolved in 800cc alcohol, then passed through filter paper and diluted with alcohol to 1,000cc. When used medicinally, the recommended dosage ranges from 5 drops to 60 drops of the alcohol and camphor solution. Botanical.com reports that camphor and spirit of camphor taken internally are used as a calming agent for the nervous system, particularly in cases of hysteria or excessive nervousness. Camphor may also be beneficial as a treatment for diarrhea, excessive digestive gas, nausea or bronchitis. Used externally, it may help relieve the pain of rheumatism, bruises, chilblains and sprains. In large doses, camphor and camphor spirit can cause excessive nervous system activity, irritability and even seizures. Because of these potential side effects, the Herbal Safety site recommends that anyone with epilepsy or Parkinson's disease avoid camphor. Additionally, allergic reactions may result from camphor spirit use; these reactions may cause rashes, hives, breathing difficulties, and itching and swelling -- especially in the mouth, tongue, face and lips. Camphor spirit should not be used by women who are pregnant or nursing and should never be applied externally to broken or burned skin. The Herbal Safety site warns that long-term camphor use can cause compounds to accumulate in fat tissues, resulting in possible camphor poisoning problems. Because camphor spirit is not regulated by any medical institution, health professionals recommend that it not be used to treat any conditions, especially without supervision by your doctor.